Emily Dickinson: Poet, Recluse, Epileptic**? Emily Dickinson's words have inspired generations. In particular, the poem above seems to have struck a chord within the special needs community--perhaps because Emily Dickinson is one of us? Known for her reclusiveness as much as her creativity, it was long thought that Ms. Dickinson suffered from mental illness. New research revealed in her biography Lives Like Loaded Guns: Emily Dickinson and Her Family's Feuds indicates that her condition was more neurologic than psychiatric. According to author Lyndall Gordon, the drugs prescribed to Ms. Dickinson were ones used at the time for epilepsy. With the diagnosis of epilepsy, many strange aspects of Emily Dickinson's life tumble into coherence. Her reclusiveness transforms into the common fear of having a seizure in public. Her unmarried state is due to the stigma associated with seizures--in many states "epileptics" were forbidden by law to marry. Her white wardrobe and adherence to routine? An attempt to reduce overstimulation and resulting seizures. Even her creativity? Temporal lobe epilepsy has long been associated with creative genius. This book doesn't focus solely on the poet's epilepsy; it includes the many familial struggles she faced. But, given the hurdles which individuals with epilepsy still face today, the beauty that Emily Dickinson managed find and create is made even more astounding. Thanks to Lyndall Gordon's investigation, Emily Dickinson, who has long inspired us with her words, now inspires us with her life. **Disclaimer: I am using the word "epileptic" here for historical accuracy and grammatical consistency. The term "epileptic" is no longer used, as individuals suffering from epilepsy are not defined by their condition. After all, no one refers to someone suffering from cancer as a cancerian, right? That said, as I've witnessed some spectacular showdowns over the use of the E-word, please don't crucify me! This has been one of my favorite poems since way before I had little John. 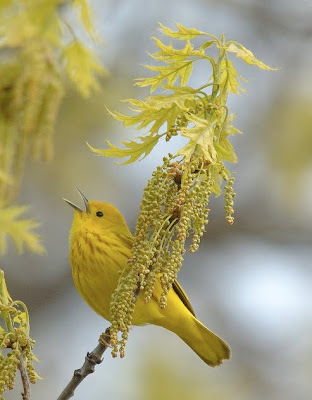 In fact, when I opened your blog and saw the name of Emily Dickinson and the picture of the bird I immediately thought of the poem before reading your post! Thanks for the insights! I love when I hear about people with "disabilities" who went on to do incredible things. People that are deaf, blind, autistic, have CP...and yes, epilepsy. Very inspiring indeed! Unfortunately, the word police strike online all the time regardless of context. The episode that scarred me, however, took place in person at an epilepsy conference last November. At the end of my row, a young man and his wife asked a question of a panel. The young man said he was just diagnosed as an "epileptic". (I believe he received a head trauma in the war.) One of the panel members dressed him down for using the E-word in front of the entire auditorium! The poor guy turned bright red and I think neither he nor his wife asked another question the entire conference. I felt heartsick for them. Here they were just learning the ins and outs of a new debilitating condition to be publicly humiliated for not knowing the current trendy word for it. Someone could've taken them aside at the end of the session to say something instead, but that's not how it happened. :( Context is key. I wish more people were sensitive to it. That is a horror story, Cristina. (I bet I could think of a diagnosis for that panel member.) He not only silenced the man and his wife but others in the audience, too. (I've seen classroom teachers use that technique. Gah.) Disclaimer necessary language. Gah. Thinking back, you're right Barbara! I didn't raise my hand after that either. :( I was really afraid I'd accidentally say something wrong too. I am sure I wasn't the only epilepsy-newbie who was made worried and self-concious when instead we should've all been learning and supporting each other. I am in tears. Dickinson's poem and Bertrand's sweet smile and beautiful energy just melted my heart. Thank you for sharing your story and for tirelessly seeking support for research around difficult genetic disorders. Bless you in all you do.